WE HAVE OFFICIALLY OPENED REGISTRATION FOR THE UPCOMING 2019 FOOTBALL AND CHEER SEASON!! 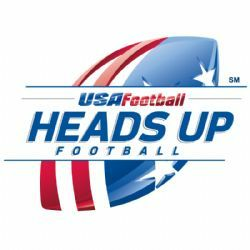 WELCOME TO THE 2019 SHELTON YOUTH FOOTBALL AND CHEER AYF/AYC REGISTRATION! There will only be online registration for the 2019 season. We are strongly encouraging early registration to ensure that your child has a spot. Before registering your child(ren), a parent or guardian must set up an account by clicking on the Registration button. Only one account should be created per family in order for a sibling discount to apply. All registrations and payments must be completed on-line. All players/cheerleaders will be placed on a first come/first serve basis in order of their on-line registration. There will be NO walk-in registration. When registering for Football, under "Team" please choose "unassigned"
Tackle football: 79ers (2nd/3rd grade) through 8th grade offered. All football teams are grade based. We will also offer a Tiny MIte team to teach the fundamental of cheer and get the girls compete ready. Tiny Mite ages are 5 to 7 going into K or 1st grade. Child must be 5 by July 31, 2019. We are also excited to announce that we will be opening an inspiration cheer team this season. You do not need to live in Shelton to cheer for the inspiration team. Ages for inspiration are 5 to 21. Inspiration Cheerleading Teams provide youth with cognitive and physical disabilities the opportunity to transform their disabilities into abilities and achievements. Players learn about the health benefits and the value of regular exercise in order to become stronger and healthier. Children build a network of friends, support, and trust. Please pass along to friends and family that may be interested. A $50 deposit is required to hold your spot though you are welcome to pay in full. Registration fees will be due in full by June 10th for cheer and June 30th for football. Spread the word to anyone who might be interested in joining. MAKE SURE YOU CHECK OUT OUR FACEBOOK PAGE!